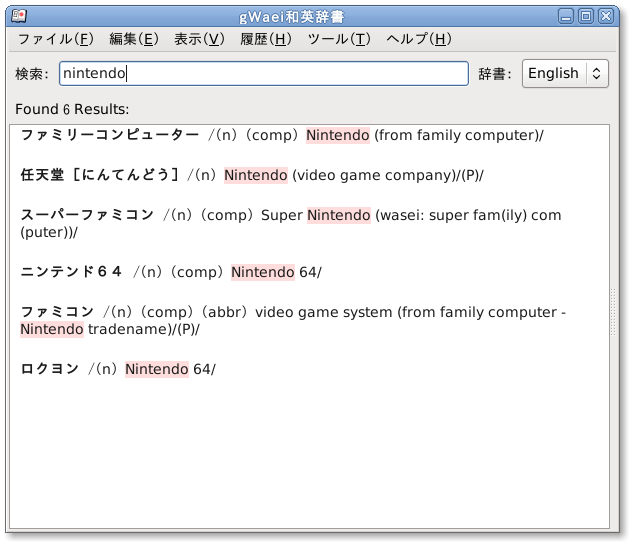 gWaei is a Japanese-English dictionary program for the GNOME desktop. It is made to be a modern drop in replacement for Gjiten with many of the same features. The dictionary files it uses are from Jim Breen's WWWJDIC project and are installed separately through the program.